If you’re living in the Atlanta area and have had an unwelcome animal making your attic a home, you need professional wildlife removal services now! Animals can cause structural and environmental damage to the space even leading to a health hazard. Foul odors, leaks, stains, ruined insulation, weakened beams, leaks, and more can result. When you have an animal infestation or intruder it’s important to start with the professionals. In and around Atlanta, Smart Solutions Wildlife Removal will work to find the solution for your animal issue -whether it’s squirrels, rodents, bats, raccoons, or opossums we start with humane animal removal and then move on to repairing the damage. 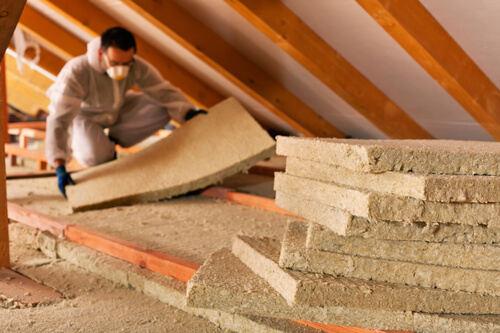 Here at Smart Solutions, we specialize in full attic remediation and finish up with a full sanitization that will return your space to a healthy environment for family, friends, and pets. –Our technicians begin with a thorough cleaning. We clean up bat guano or rodent droppings with HEPA vacuum systems, powerful disinfectants, and sanitizing agents. When you go with the professionals, your odors will be eliminated, viruses eradicated, and safety restored to your home. As a homeowner you may decide to clean up after unwelcome guests yourself, but this leaves you susceptible to airborne bacteria that can cause health issues and may spread throughout the house while sweeping and disposing. It’s best to call the professionals from the beginning. –Once clean, we fully restore the space. Homeowners who DIY and amateurs may not be skilled in construction. At Smart Solutions we have more than 20 years of experience. Our technicians can replace insulation, rotted wood, and destroyed drywall, ductwork, and electrical wiring. As part of our repairs, we can also offer custom on-site metal fabrication and install Ridge-Guard screens to protect vents and eaves from new infestations. –As a finishing touch, Smart Solutions Wildlife Removal inspects the entire home or business for access points, preventing future problems. Gaps and cracks as small as ⅜” can allow a bat or rodent into the home. We won’t miss a crack or crevice like some other businesses or handymen. In fact, some other company’s methods may cause structural damage and fines for code violations. Even if you’ve already swept up, vacuumed, or otherwise removed the droppings that animals have left in your attic, it’s important to call a professional now. Call Smart Solutions Wildlife Removal so the professionals can finish the job with a sanitizer and preventative treatment. Of course, it’s always best to start with the professionals in the first place. Our staff at Smart Solutions will offer an estimate that will bring you one step closer to a cleaner, safer, and healthier home and business–without causing any damage, adding to your mess, or leaving anything behind. Use our online appointment tool to request an appointment online.